This console from Tuffy is made to be universal and fit a variety of vehicles with space between the front or rear seats. It immediately ads an armrest and cup holders to any space. 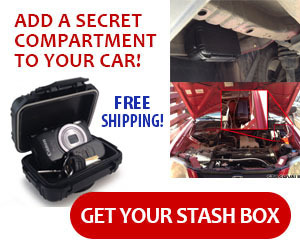 There’s a space for a stereo, CB or other radio with a metal cover that can be flipped up for protection. 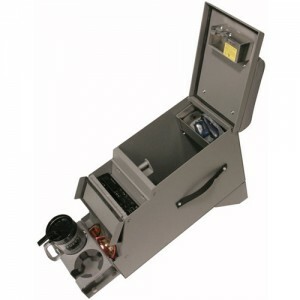 Under the armrest is a lockable storage area to lock away personal items, tools, firearms or other valuables.